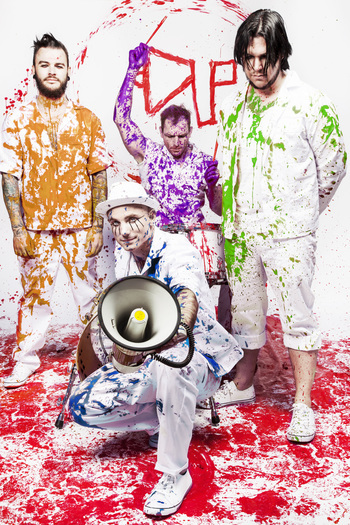 South Africa’s best-selling indi-rock band, The Parlotones, take to the stage at The Rockwood Theatre, Sibaya. Fans will be treated to two evenings of Parlotones magic, energy, enigma and sing-a-longs as the band performs their chart topping hits live on stage on June 7 and 8, 2018. Since they first launched onto the South African music scene, The Parlotones have rocketed to success; winning multiple awards, achieving multi-platinum album-selling status, packing out venues for live concerts and enjoying loads of airplay on local radio. The band, comprising Kahn Morbee, Neil Pauw and brothers Glen and Paul Hodgson, focus their lyrics on personal themes of love and everyday life, paired with catchy melodies that engage their audience. Their early sound was rooted brit rock, but eventually grew to incorporate a wider spectrum of musical genres. Within four years, the band signed with Sovereign Entertainment and released their debut album Episoda. 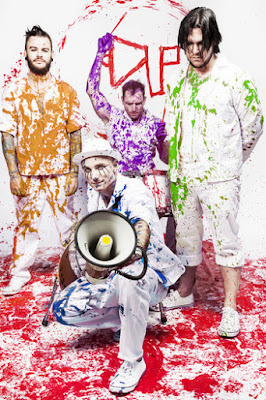 The Parlotones have released eight studio albums and are one of South Africa’s bestselling music artists of all time, enjoying multi-platinum success. They have won nine South African Music Awards and in 2009, were the first South African band to headline at the Coca-Cola Dome. With their success, the band has championed many philanthropic causes, including The Little Wing Music Foundation, the Anene Booysen Foundation, and the Africa-Unite campaign. Over the years, The Parlotones have shared a stage with a number of well-known international and local artists including Coldplay, Black Eyed Peas, Alicia Keys, Shakira, Blue October, Freshlyground, Stardust Galaxies, and Zolani Mahola. Tickets R200 pp booked through 031 161 0000 or www.rockwoodtheatre.co.za or the booking office at Sibaya Casino & Entertainment Kingdom. Found within the Sibaya Casino & Entertainment Kingdom complex, Rockwood Theatre offers a family friendly environment with a casual dining, supper theatre experience with a good menu, fully stocked bar and state of the art facilities.